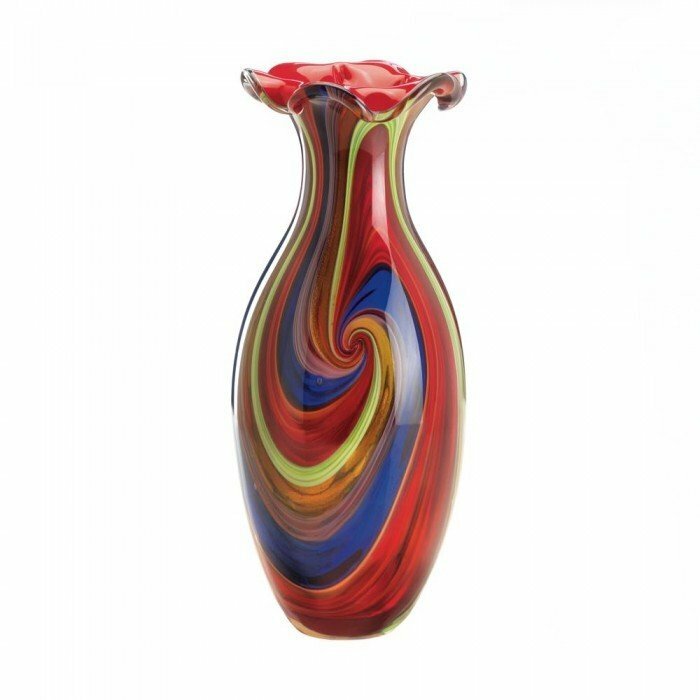 SWIRL OF COLORS ART GLASS VASE by Accent Plus home decor, jewelry, decor, decorations, electronics, fountains, floor mats, art glass, vases, garden essentials, fireplace screens. You don't have to choose one accent color for your room when you add this lovely art glass vase to your collection. The shades of vibrant color swirl with style and the fluted top of the vase is totally intriguing. For decorative purposes only. Individually hand-crafted for its unique beauty. Item may be slightly different from the picture shown here. Material(s): GLASS. Weight 10.2 pounds. Dimensions 6" x 6" x 15.2".